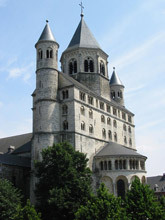 The Collégiale Saint-Gertrude of Nivelles and the Cistercian Abbey of Villers-la-Ville. Tradition relates that in 1146, at the invitation of the Lord of Marbais, and under the impulsion of St Bernard, 13 monks and 5 lay-brothers arrived in Villers from Clairvaux to establish an abbey. 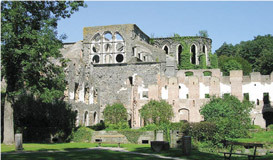 The monastery buildings were completely rebuilt during the 13th century, when the abbey was at the height of its spiritual and temporal influence. At this time, it is said, the abbey numbered about a hundred monks and three times as many lay-brothers, and its precinct covered almost 10,000 hectares. 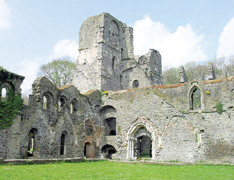 From the 16th to the end of the 17th century, the abbey lived through periods of both trouble and calm, while the 18th was the century of its second golden age. The final blow came with the French Revolution. 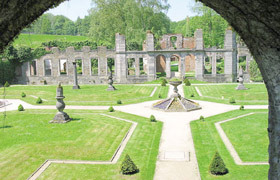 The extensive ruins of Villers are both strikingly beautiful and romantic. 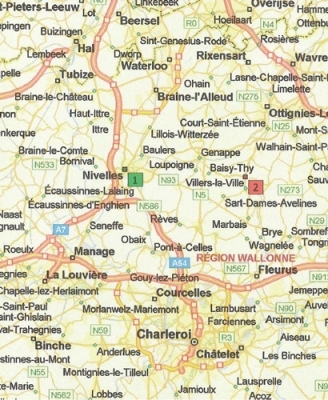 Package 5: St Gertrude Collegiate Church and the Cistercian Abbey of Villers-la-Ville.